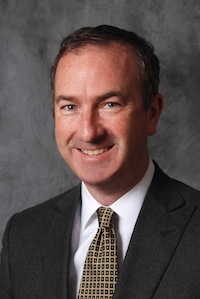 John Brady concentrates his practice on property tax, municipal law, and litigation matters. Prior to joining Tully & Associates, Mr. Brady served as a prosecutor in the Cook County State’s Attorney’s Office. He received a B.A. from Marquette University in 1994 and a J.D. from The John Marshall Law School in 1997. Mr. Brady is active with Chicago Bar Association, where he serves on the CBA Judicial Evaluation Committee.